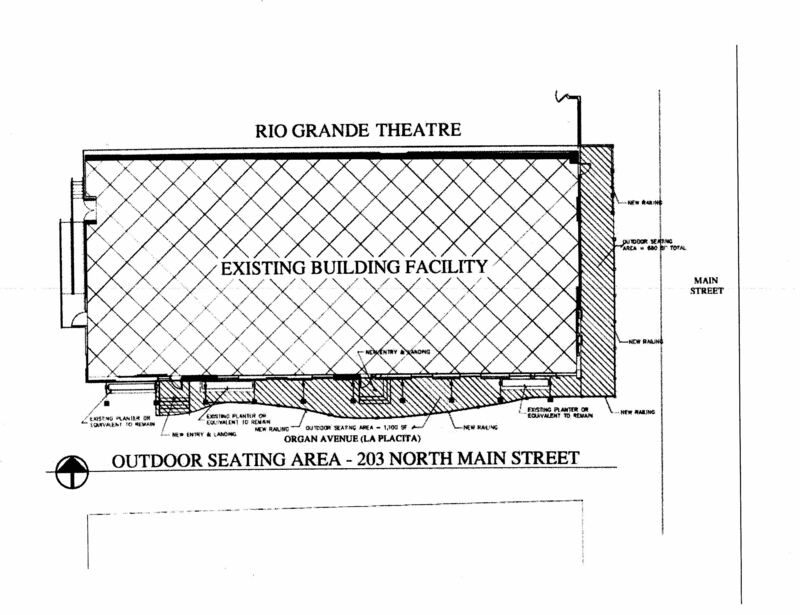 The City of Las Cruces is considering a proposal to lease about 85% of the sidewalk on the north side of La Placita to a private developer. 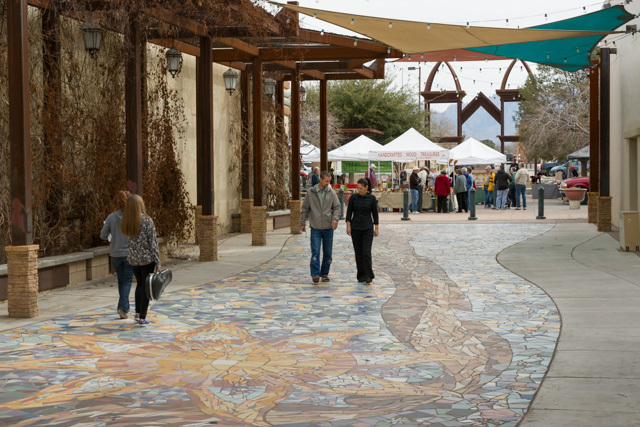 La Placita is not a park, but instead considered a right of way like a road or a sidewalk. Yesterday, the developer revealed a new plan (see photo). The business is required by law to install a permanent fence since they plan to sell alcohol. The fence would be 6-12 inches away from the Sun and Earth ceramic mosaic. The fence will be opaque and about 42 inches tall. On Monday December 12th the City Manager will announce his decision, it will not go to City Council. The main changes that will occur will be that 2 of the 5 planters will be removed on the north side and 2 of the 5 will become part of the leased property. Only one plantar will be accessible for public seating. In the photo pictured, the entire sidewalk on the left side would be fenced. How would a fence change you experience of the mosaic? City Manager, Stuart C. Ed at sed@las-cruces.org by 11 am Monday morning.